How often do you use an ATM? How often do your employees? Studies show the average American employee uses an ATM once a week. If they are non- banked, they pay $2-$3 in surcharge fees. That’s $104 per year to access cash. With more and more employers utilizing direct deposit (either to a bank or pre-paid card), this number will continue to rise, since cash is the preferred method of payment by consumers and businesses for purchases less than $50. What can be done to help offset these fees and put more cash in the American workers pocket? How can you reduce the fees your employees are paying? Installing an ATM at your place of business is a great way to provide employee cash access. ATMs in the work place give convenient, quick and safe access. Want to take ATM access a step further? Think about enrolling in surcharge free networks, such as Allpoint. Best Products is a member of most major surcharge free networks in the US, so if you have a Best Products ATM- you can enroll at anytime. Allpoint has nearly 5000 enrolled financial institutions, so this may be surcharge free to a majority of your employees. What about a Bank ATM? Having your Banks ATM may not be as far fetched as you think. If you bank with a specific financial institution, Best Products can Brand the ATM for that FI’s brand, and provide a Bank experience to your employee. 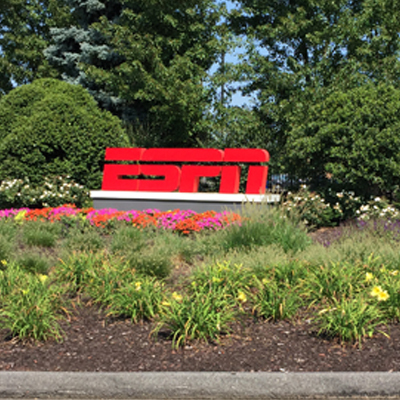 Pictured below is a Branded ATM at ESPN’s headquarters in CT. 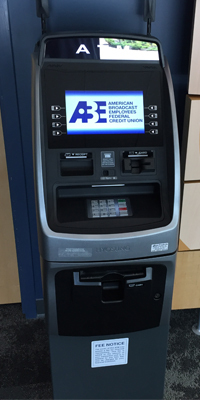 This ATM is Branded by ABC employees Federal Credit Union, providing cash access to their visitors center, as well as the employees cafeteria.